It is no secret that the NHS and social care have a workforce crisis on their hands. With a shortage of approx 40,000 nurses and counting as one example, it really cannot be an issue we ignore. There’s also a huge shortage of care workers (Healthcare Assistants (HCAs), Personal Assistants (PAs), auxiliary care staff; whatever they may be called in different places) both within the NHS and also in the community and in social care. 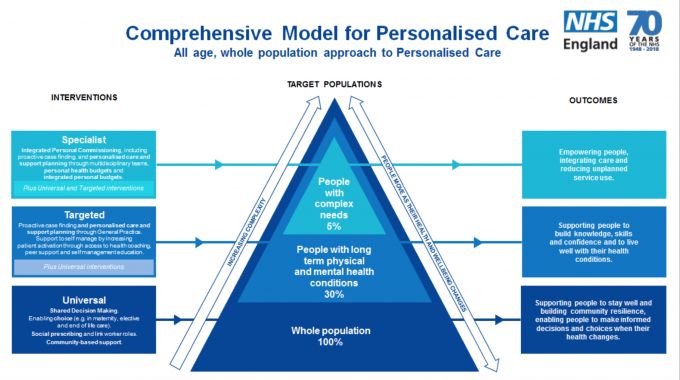 Many people with complex health needs, long term conditions and/or disabilities, are embracing personalised care and have taken control over our care packages, becoming employers of our own staff, care workers who we call Personal Assistants (PAs). This is true of social care via direct payments, joint health and social funding via Integrated Budgets, and NHS Continuing Healthcare (CHC) via Personal Health Budgets (PHBs). We take on recruiting, employing and managing our own care staff, putting us in the driving seat. This gives us choice, control, flexibility and autonomy over our lives and care. However, we are also suffering in the current workforce crisis, as recruiting and employing staff is becoming increasingly difficult, there just aren’t enough staff. When you add Brexit into the mix, you’re further reducing the pool of individuals we have available to recruit and employ both now pre-Brexit, but especially post-Brexit. Many of us currently, or will in future find ourselves needing to employ staff who come over from European Union countries, but Brexit could threaten this pool of European staff from entering, settling in or applying to remain in the UK. This is a hidden workforce crisis that no one seems to be addressing. Then, you come to individuals like me who not only depend on Personal Assistants (PAs) but who also require daily nursing which is provided over a period of hours – in my case 16 hours per every 24 – the nursing workforce shortages are even more damaging. There is a reason we have nurses and not carers but how do we manage if there aren’t enough nurses, let alone specialist skilled nurses, to support people like me at home? For a long time now, we have been up-skilling and capacity building with care workers/PAs/HCAs to enable them to manage needs typically only met by skilled nurses. One example of this is tracheostomy care, where the day-to-day care of an individual can be delegated to care workers/PAs despite it being a nursing task. This requires infrastructure and funding to train PAs and provide ongoing nursing support, competency checks, supervision, check-ups and overseeing of the individuals’ care, as well as having nursing staff who the PAs can call upon if needed for advice or for hands-on intervention. Up-skilling staff has been of huge benefit over the years as it eases the burden on services to provide nursing, as well as allowing individuals like me with complex health needs more choice and control over our lives and care in the community, but it’s an ongoing need to have nursing backup and support for these PAs, to ensure they uphold the standards and have their competency checked regularly, and to manage any situations that arise in an emergency. Not only that, but it requires having suitable and sufficient PAs who are willing to be trained in specialist skills and tasks, and to empower and give confidence both in the PAs that they can do the task but for the patient and their family too that they can feel confident and safe in the knowledge the PAs are competent and know what to do and how to handle situations that may arise and that there is always someone on hand for support. 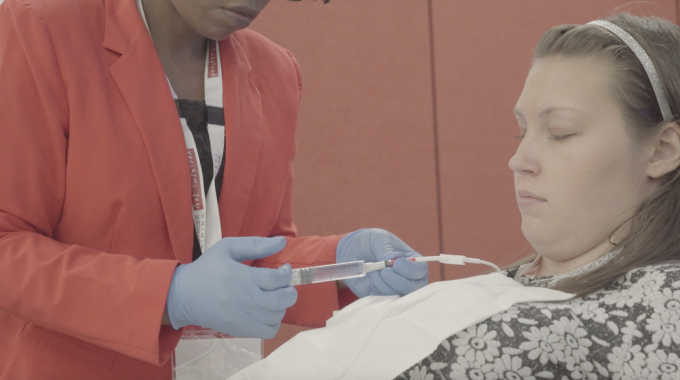 There are some tasks for which delegation can still be controversial, and this includes one of my care needs, Total Parenteral Nutrition (TPN). It may also be referred to as Home Parenteral Nutrition (HPN) or simply as PN. I’ve been dependent on TPN since May 2011 and in order for me to come home, my mother was trained to care for my Hickman line, prepare, connect and disconnect the TPN, administer intravenous medications and change the line site dressing. I only had my mum to do it and sadly the Clinical Commissioning Group (CCG) refused to provide nursing care to give mum a break. Mum was getting pretty desperate and so the hospice offered the solution of allowing one of their carers to be trained in TPN, central lines and potentially also my intravenous medications. This seemed a viable solution. However, at every turn we were told it was not possible, even going so high as the Royal College of Nursing (RCN) and the Nursing and Midwifery Council (NMC). So, our plan failed. Interestingly, I’ve heard through others that they have had care workers trained in doing the TPN only, so I’m slightly confused as to why it wasn’t possible for me, but seemingly it is possible in other areas. My nutrition team at the time said absolutely not to any hospice carers being trained in my TPN, only nurses. I do now understand more about why tasks like this cannot always be delegated, and that is that it needs national standards to govern the delegation of tasks, as well as relying on having the local infrastructure, specialist staff, training and ongoing support, funding for this, and of course frameworks, standards and governance structures, in order for that task to be delegated to a PA safely and having the ongoing staff and support to ensure it remains safe and concerns can be raised, competency regularly checked and support input in an emergency or as needed. It makes me wonder; what is it about a task that makes it a task that can be delegated? And would delegating more clinical tasks to care workers, HCAs and PAs reduce the problems in terms of nurse shortages as care workers could provide care on certain tasks normally reserved for nurses and thus care for patients with more complex health needs? You look at the new role of Nursing Assistants and Physician Assistants and you can see there is a need for tasks to be delegated. Delegation of tasks to PAs has benefits to both the patient and their PA(s). There are various different benefits for both parties. One benefit for the patient is being able to be cared for in the community, rather than in residential care. It means the person’s needs can be attended to in a timely manner, whenever and wherever they require them, meaning they can live their life as they choose, go out and do things (such as working, volunteering, socialising, hobbies and activities, run errands and attend meetings and events) and have a life, compared to having to wait around for a nurse to come and perform the clinical task(s) or being restricted by care hours due to the nursing needs. I was talking with a lady the other day who has requested her PAs be trained to change her suprapubic catheter, but there has been a lot of resistance to and inaction in enabling this happen, meaning every 5 weeks she may spend one or maybe more days, laid in bed, at home all day, waiting for the district nurses to come in and change the catheter, and unfortunately they may get delayed or have to postpone which means another day stuck in bed at home; they can’t give times either so you must cancel all plans for that day for the visit to happen at any time, and cancellations do happen, often late in the day, which means a day wasted and now another day sat in bed waiting for the DNs to come. To some when I explain about this make out we’re being unreasonable, but myself and the lady I was talking to both have busy, active lives and responsibilities and so taking a whole day out waiting for a visit and with the risk of that day going to waste and facing yet another lost day for the rearrangement of the cancelled visit, is actually a problem to us – it’s more than just an inconvenience – and involves cancelling or postponing things on a regular basis, and for some of us we have work commitments and other responsibilities which makes it really hard to have a whole day sat at home waiting for the visit to happen. I struggle too, my district nurses come in to do pressure area checks, despite the fact my home nurses and PAs check my pressure areas every day, and the DNs coming in to do it means trying to find a completely clear day with nothing on (a rarity) or means cancelling my plans for someone to tick a box to say my pressure areas have been checked, even though my home care team do this daily. We are very grateful and appreciative of the DN teams and have utmost respect for what they do and understand how challenging their job is with ever-increasing numbers of patients and insufficient staff, time and resources. It’s just important that there is understanding on both sides of the difficulties, the DNs in terms of time, staff and resources, and the patient with their life, commitments and responsibilities. However, in the case of the lady, the DNs could train the PAs to do the suprapubic changes, eliminating the need for a 5 weekly DN visit to change the catheter and reducing pressure on the district nurse team, whilst also facilitating the quality of life of the individual by her PAs being able to change the catheter when needed, rather than waiting around all day for a DN, and the lady can get on with her life. Making care more efficient and effective on both sides and reducing demand on the district nurses. It’s not possible for every patient and every task, and there isn’t really a solution due to how overworked and understaffed DN teams are, in an ideal world patients would be given a time for the visit and that visit be guaranteed but reality is very different, they have so many patients to see to and emergency visits, more complex patients needing more complex care and support, and visits overrunning on time and so on and so forth just mean it’s impossible to do anything about this at the moment. Thus, empowering the PAs of patients with Personal Health Budgets, Integrated Budgets and Social Care Direct Payments to take on certain tasks with the training, support, governance and competency monitoring in place to allow this, would reduce burden on overstretched services such as the district nurses. Two of the case studies shared in the guidance include the following. “I’ve found having a personal health budget has had a major impact on my life, it’s given me a lot more choice and independence in what carers I choose, what they are trained in and how they assist me. Without this it would be a lot more difficult to live out of my family home and live independently with my partner. Also to set up my own business and move ahead with my life.” Matt, personal health budget holder. Julia, nurse who provides tracheostomy training to Matt’s PAs. It’s no secret that the nursing shortage is having an impact on patient care. The doctor shortage, especially in terms of doctors for certain specialties like the shortage of General Practitioners (GPs), is also having its impact. However the impact on social care is not so widely reported and known. Also little-known is the impact on patients like me with complex health needs who have specialist, primarily nursing-based needs who require complex care packages and skilled staff to be cared for in the community and the impact of the health and social care workforce crises on us. In this post I explored whether delegating clinical tasks could ease the burden on overstretched nursing services and a shortage of nurses to provide such care, by enabling care workers to be up-skilled and to take on such tasks, and also touched on its impact on facilitating more care in the community for patients with complex health needs. Is this a feasible solution to the staff shortages and to the issues raised? We’ll just have to see. Click here to go to the NHS England ‘Delegation of healthcare tasks to personal assistants within personal health budgets and Integrated Personal Commissioning’ document. Another document of interest is this NHS England Personal Health Budgets guide on PAs, delegation, training and accountability. Click here to go to that guide.